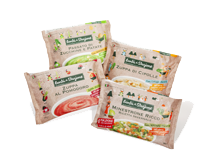 Since many year Sacchital has been trying to match flexible packaging (food and non food) with the world of paper. The environment, being “green” and eco-friendly, sustainability are key priorities for today’s consumers. Home made and artisanal, though safe and well preserved is what consumers want their products to be. The answer is PaperFlex® System, by the Sacchital Group. Paperflex System is the integrated system of flexible packaging where paper is combined and laminated to polymers to create innovative and environmental friendly materials, including die cut see thru windows, and still keeping high barrier protection as required, long shelf life, easy machine operation. Thanks to the combined know how of Sacchital (paper), Akerlund (aluminum) and Neophane (plastic films), and the ability to catch and exploit new trends, Sacchital designs a custom tailored paper dress for every product, food or non food. Following regulations set by the Aticelca Protocol for recyclable paper materials, Sacchital has worked with major players in the food industry to develop a line of paper based recyclable packaging products. A flagship example is the project carried out with Barilla for the Mulino Bianco line of cookies and biscuits. Selecting the appropriate ratios between paper weight, polymer film thickness and adhesives composition, the resulting film has been recognized as meeting the required specifications for recyclability. 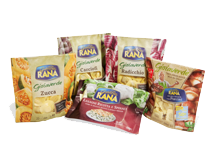 In cooperation with Rana, Sacchital has introduced a new concept in packaging, setting a revolutionary, once in a lifetime change in the way fresh food is packed: a paper packaging, with a die cut see thru window, airtight, with hi barrier properties. The innovation has won Sacchital the Pack Award by Packology, (Packaging and Processing Technology Convention), in the food packaging category. Today Sacchital is getting requests from different countries and industry sectors (confectionery, chocolate, bakery, cold cuts, cheese& dairy, IV Gamma, sandwich, hamburgers) to develop tailored paper based products. 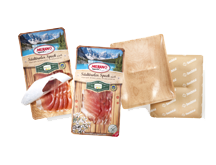 The combination of paper and polymer films has generated a whole new packaging concept for fresh food products. 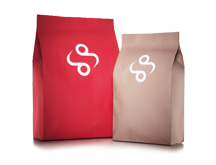 Introducing Forma Paper® a packaging made from a hi-barrier lid film in paper with see thru window, sealed on a hi barrier bottom web in thermoformable paper, recyclable according to the Aticelca Protocol. A real “dress” in paper, tailored in style, shape, materials, paper specifications and finishing techniques in order to give pleasant touch feeling, attractive look, whilst enhancing the product and brand image. These materials are suitable for any packaging machine, any packaging technique, and can be either the outside or the inside wrapping or both.